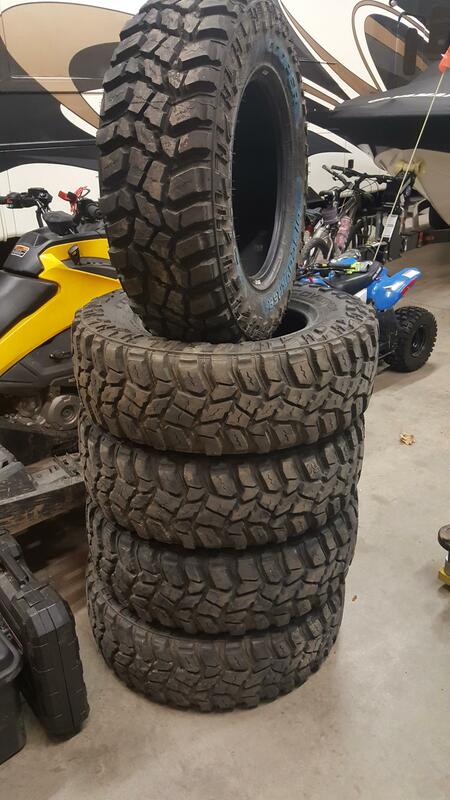 After having these tires on my truck for the last 5000+ miles, I've decided I need to go wider. My EXT with front bumper and full size spare + gear is just too heavy for narrower tires on sand. My truck weighs 5700lbs and almost always requires 4wd in soft sand (which seems to be 90% of the trail riding I end up doing). I tried airing them down to 15psi on sand and was able to drive in 2wd all day... it was night and day!! So I'm thinking of going up to 285's. These tires would do GREAT on a SWB truck. Many I know run them already and like them. 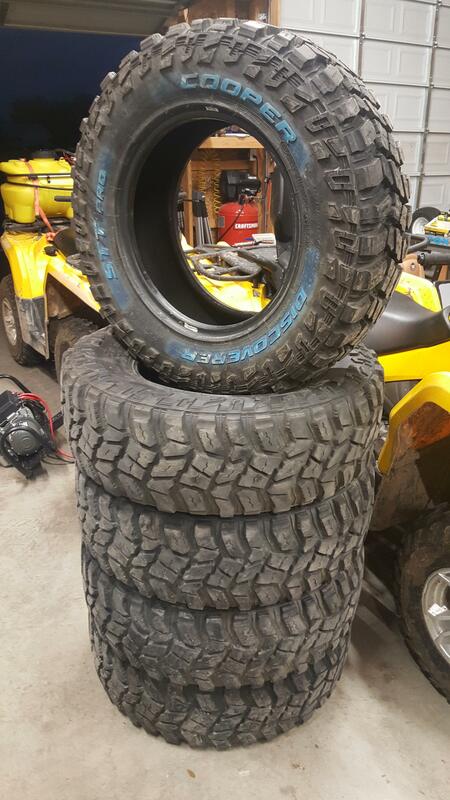 These tires are great if you want 32's but don't want to trim your body! Curious if there is any interest in my tires. There is still a LOT of tread left. I would try for local pickup only, but may think about shipping if I get no bites. I bought these from discount tire for about $1000 installed. Let me know what you think they are worth to you and we'll see what happens. BTW - I should mention I have 4 lightly used, and 1 brand new spare. If you give me a price, let me know if you want 4 or all 5. They are up for sale! !